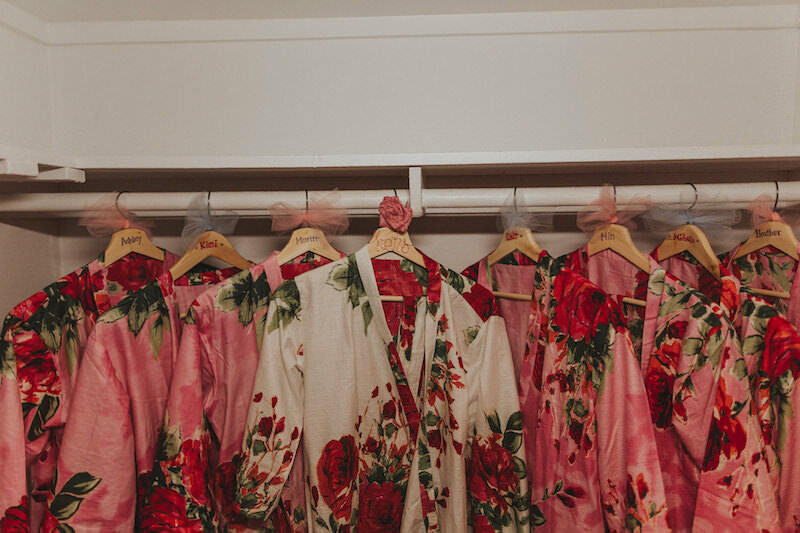 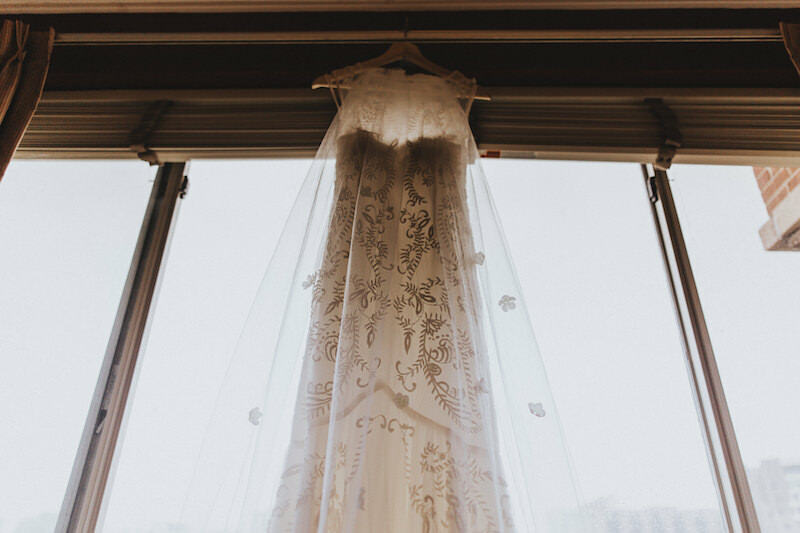 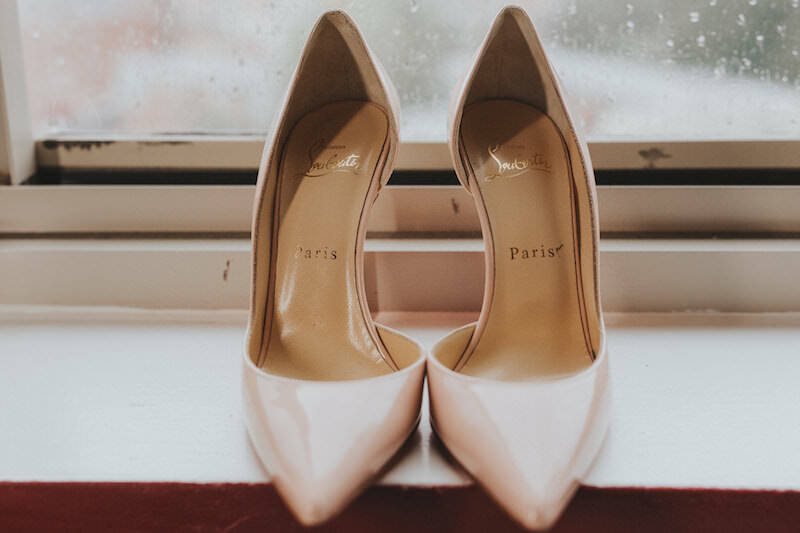 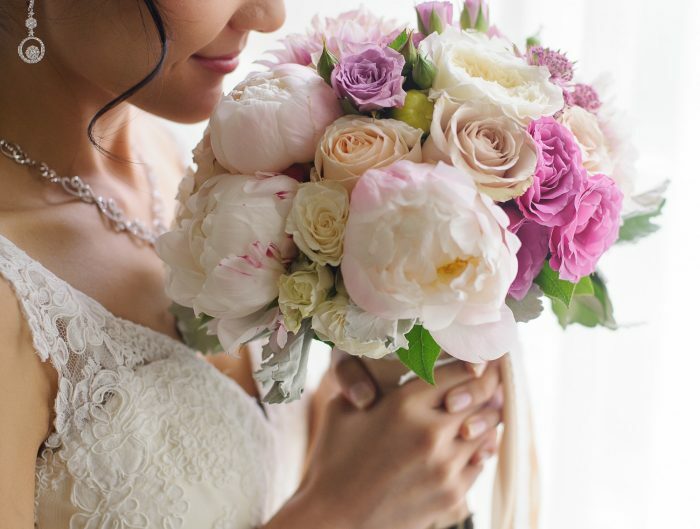 We have all heard the age old adage that rain on your wedding day is good luck however, we know that even this won’t soothe all brides and grooms if the skies open up. 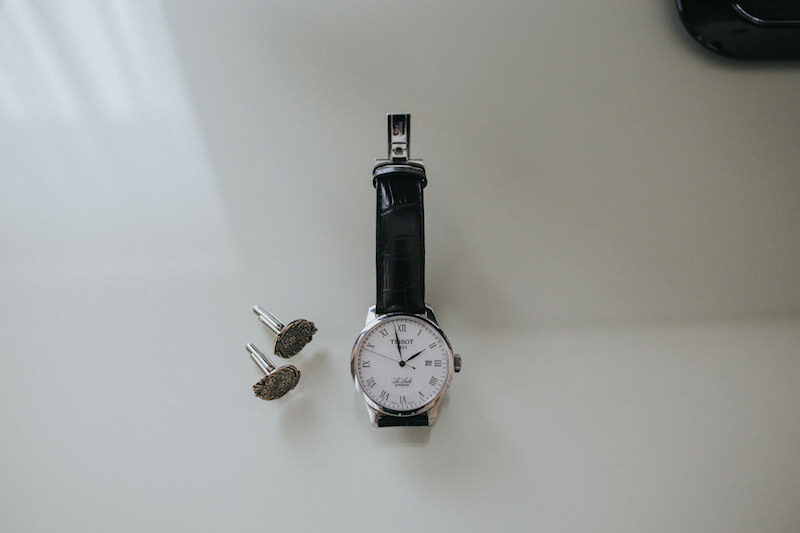 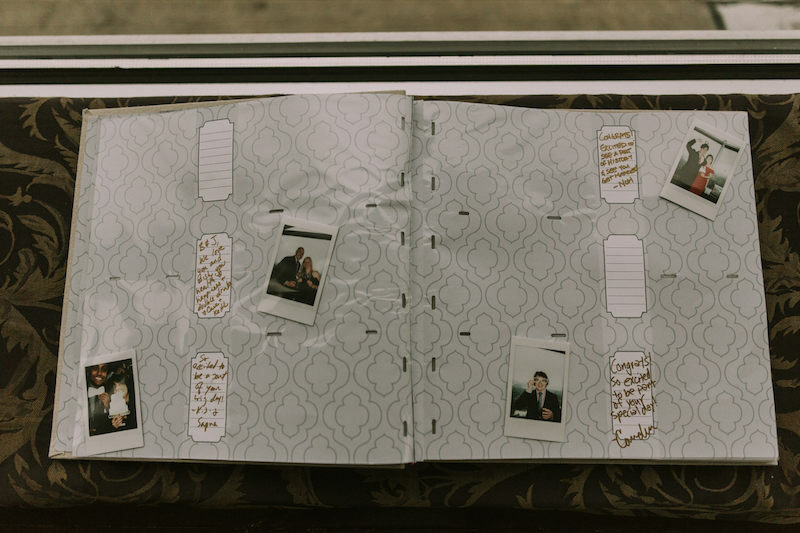 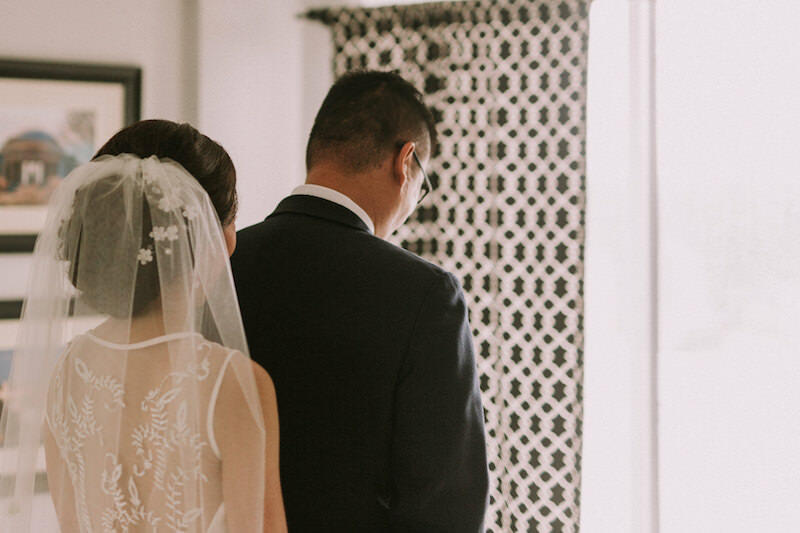 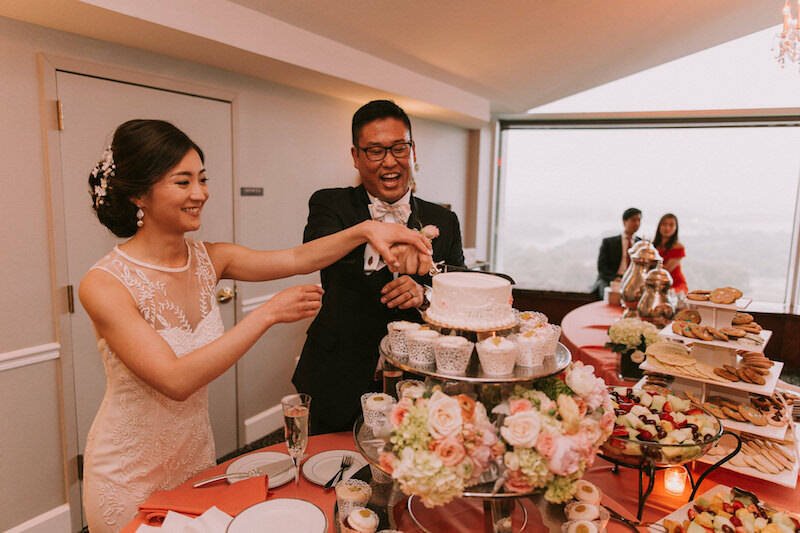 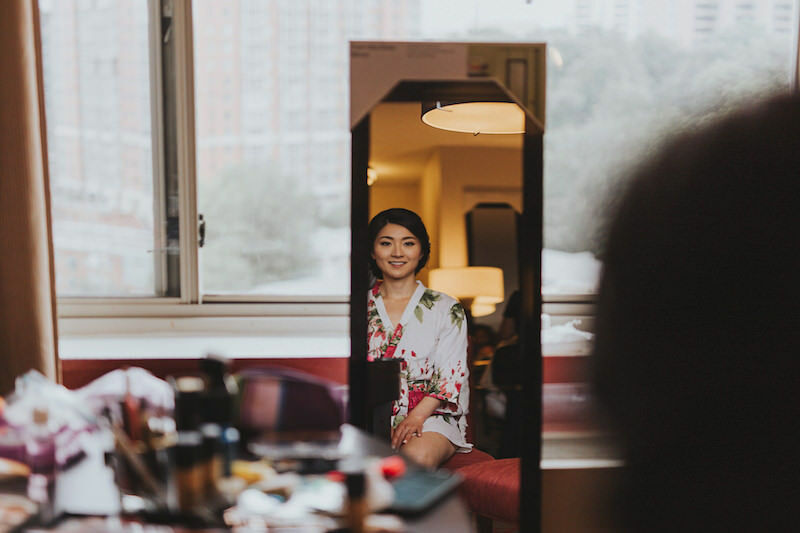 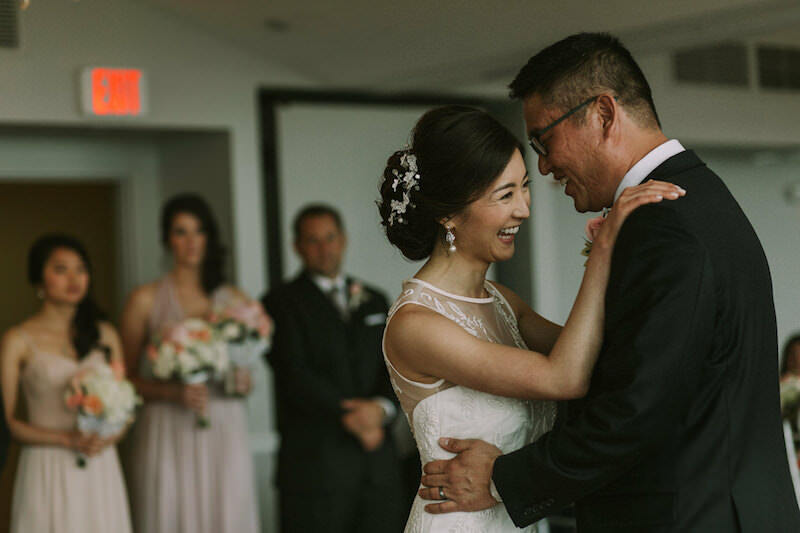 Joon and Boeui embraced the rain and didn’t let it damper their special day. 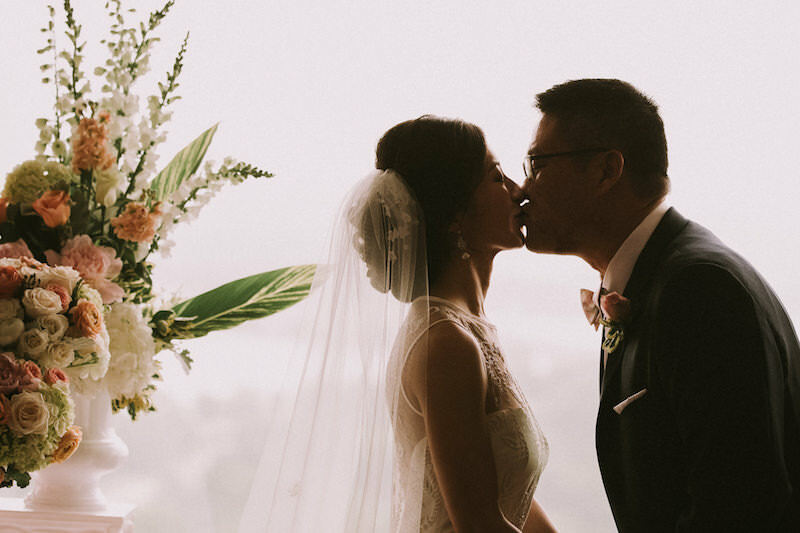 Because of the rain storm, their photographer Brandon of BHUNTERco was able to capture some pretty spectacular photos due to some fantastic lighting. 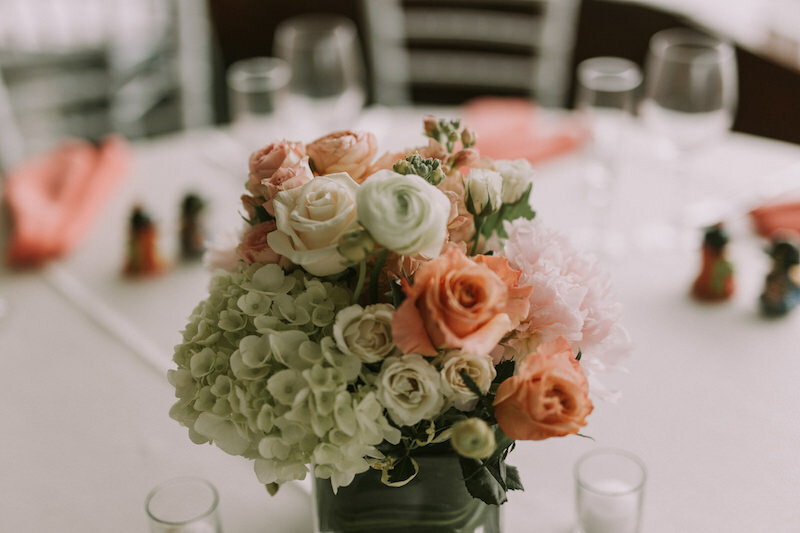 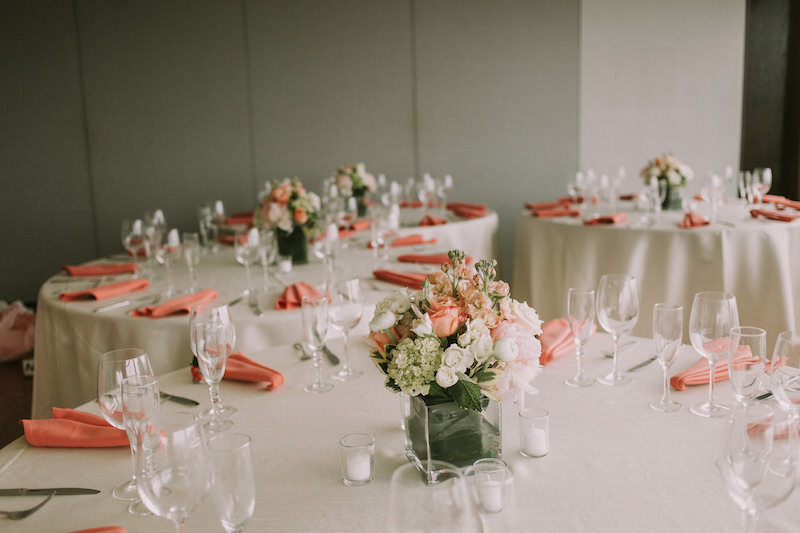 The use of coral, light pinks, and creamy whites created a light and airy atmosphere despite the weather outside. 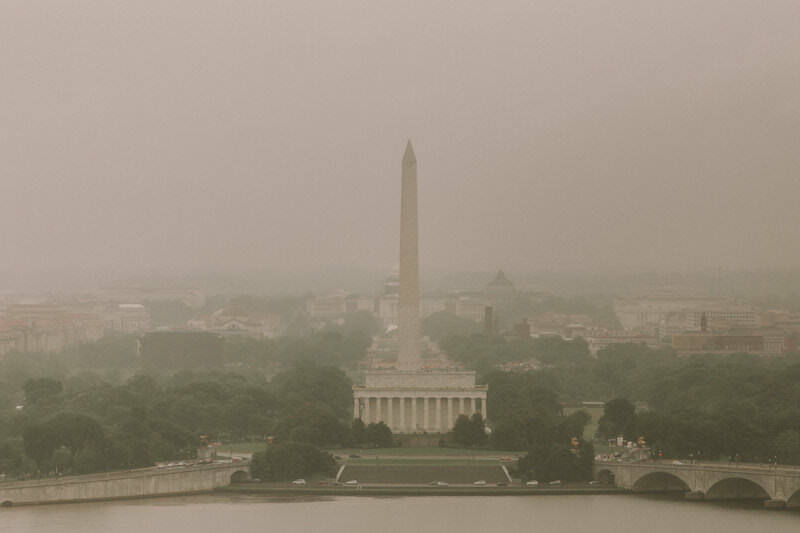 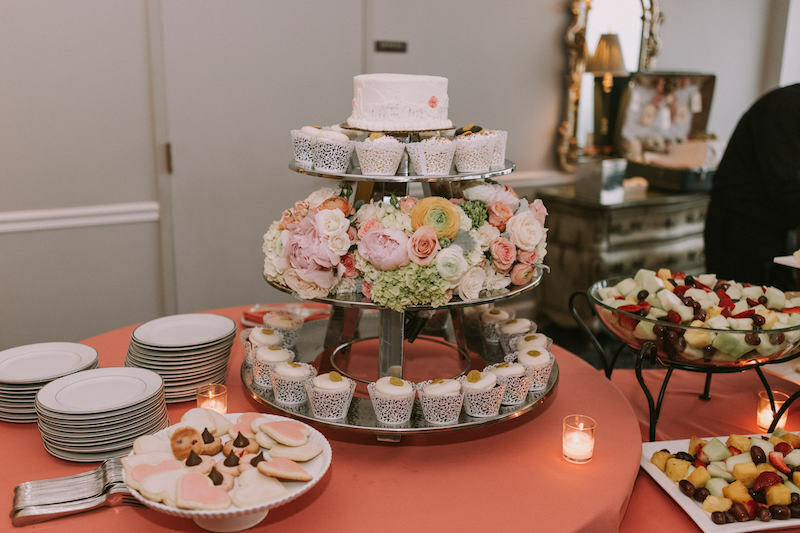 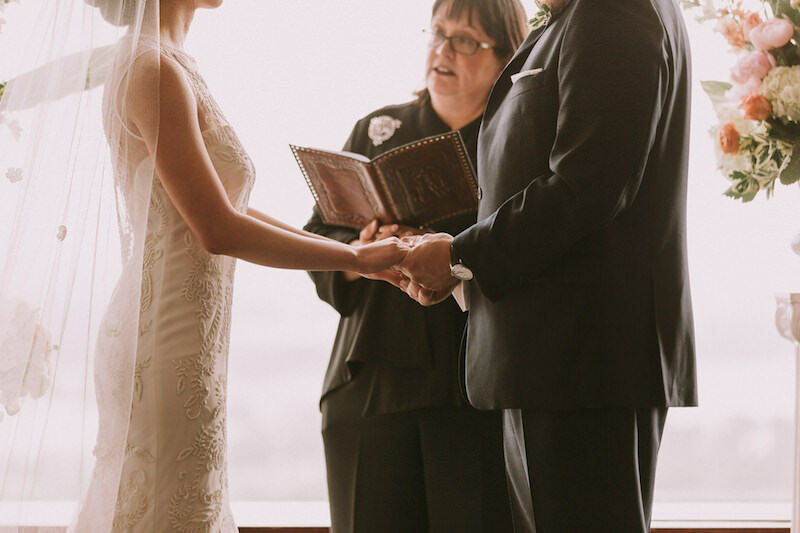 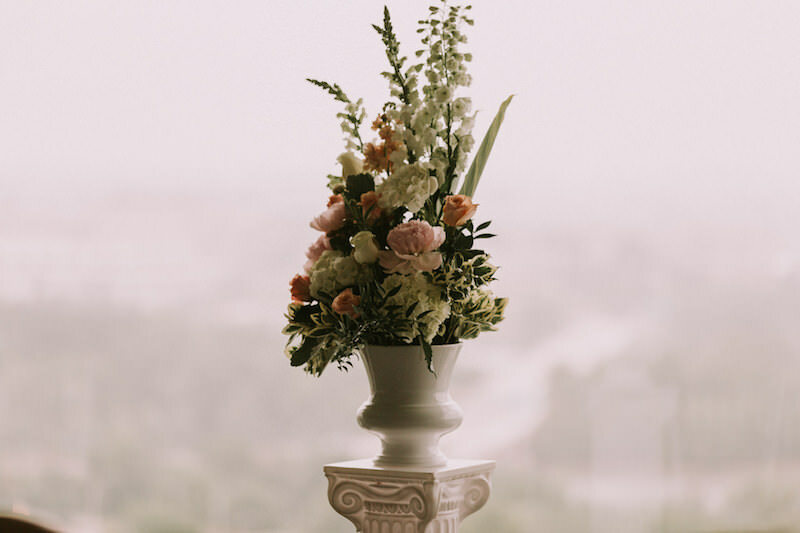 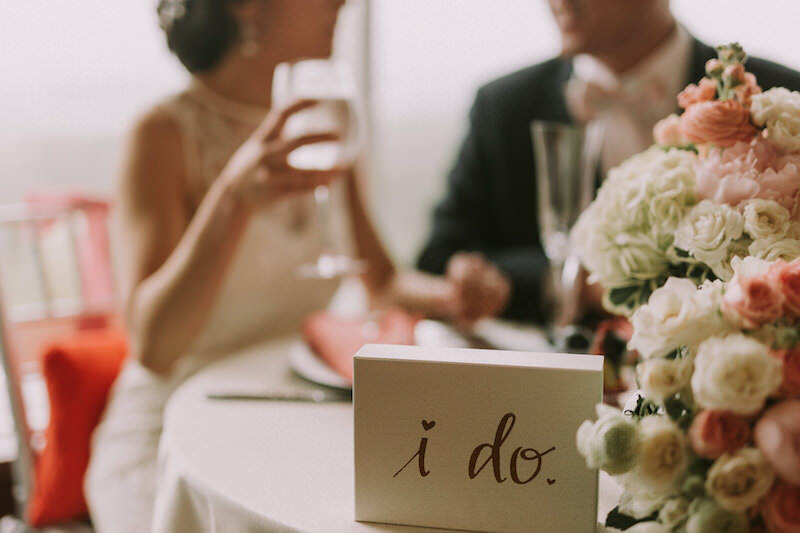 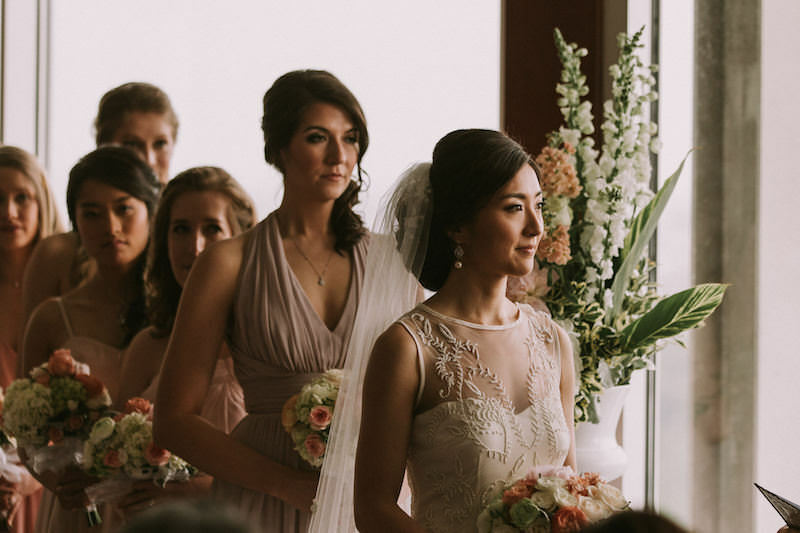 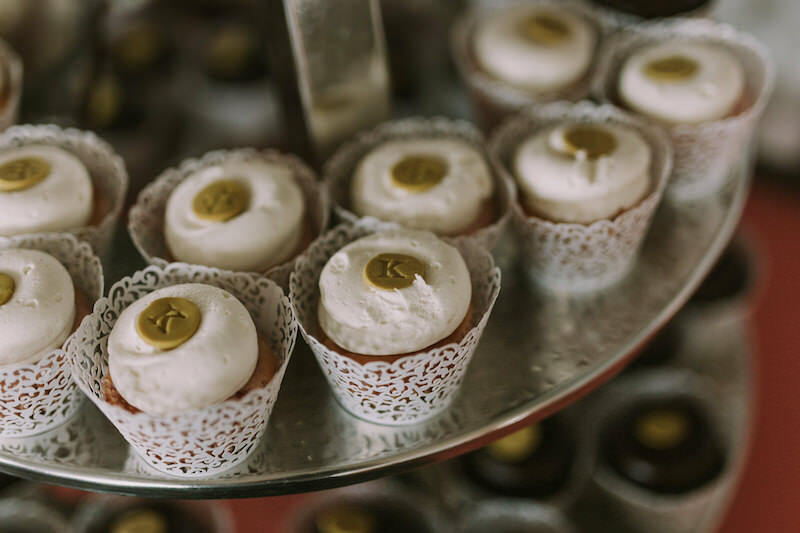 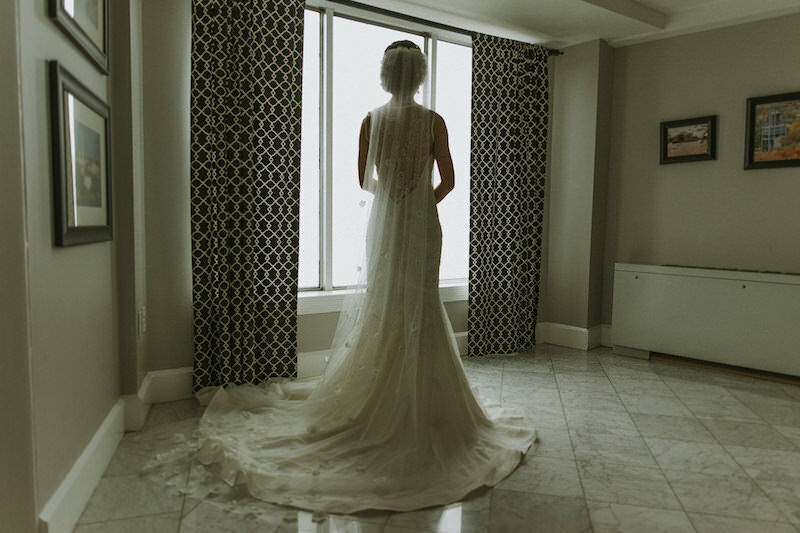 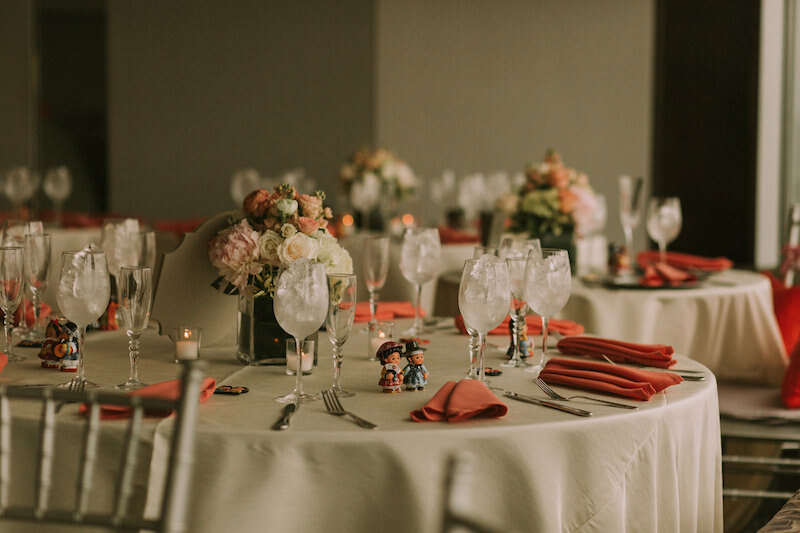 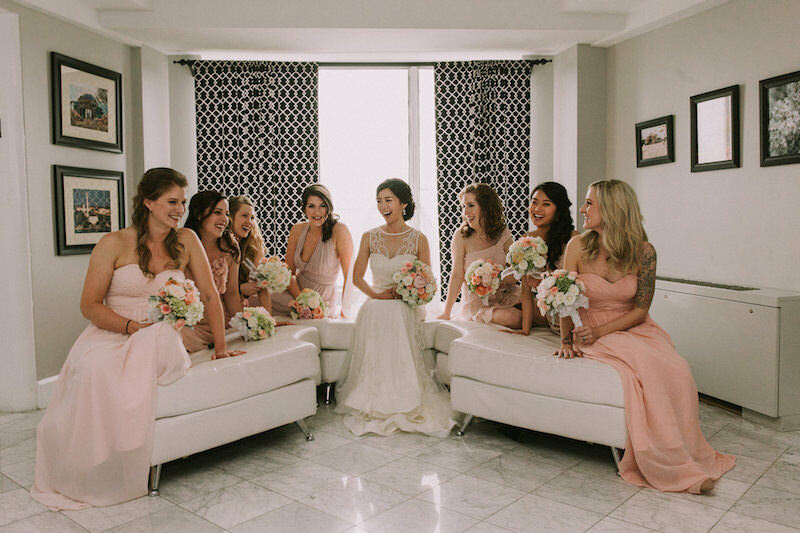 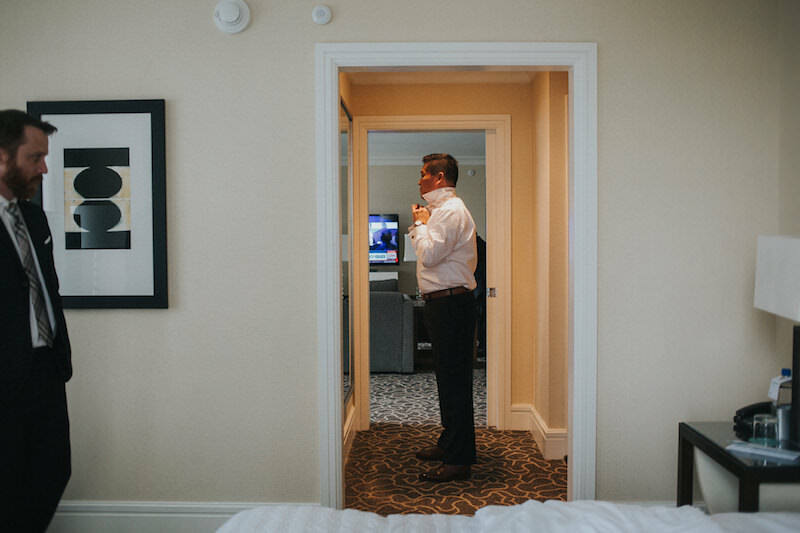 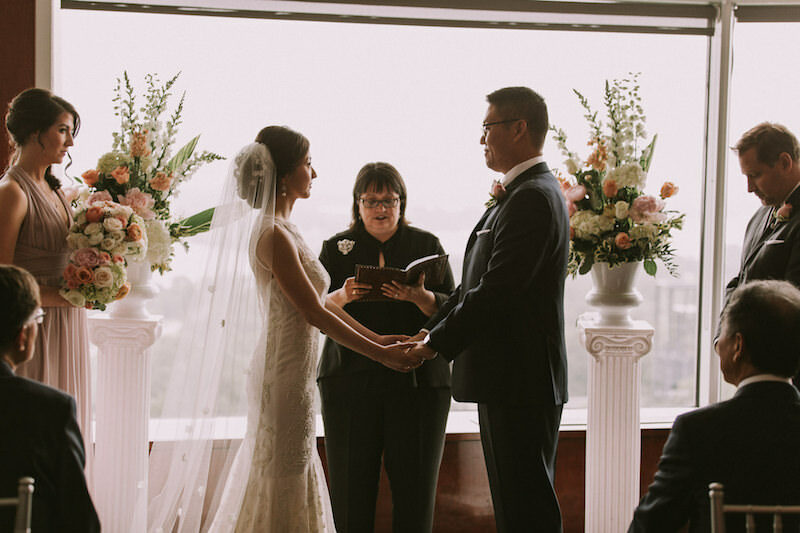 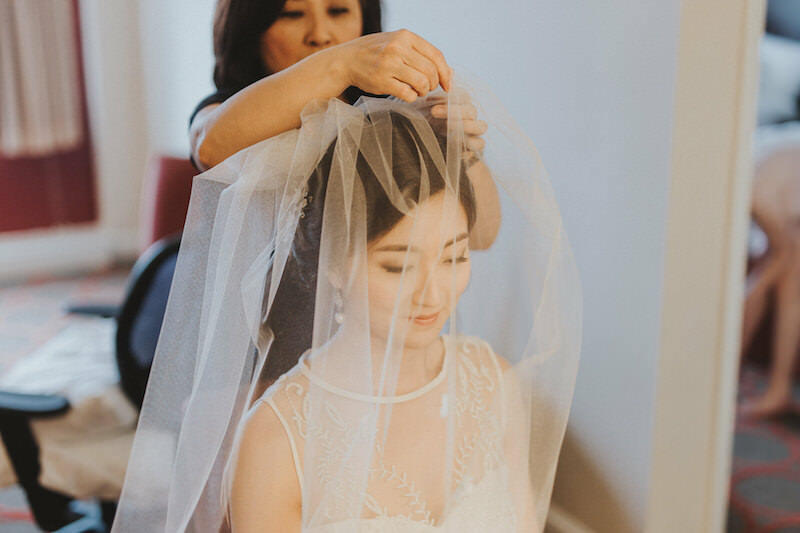 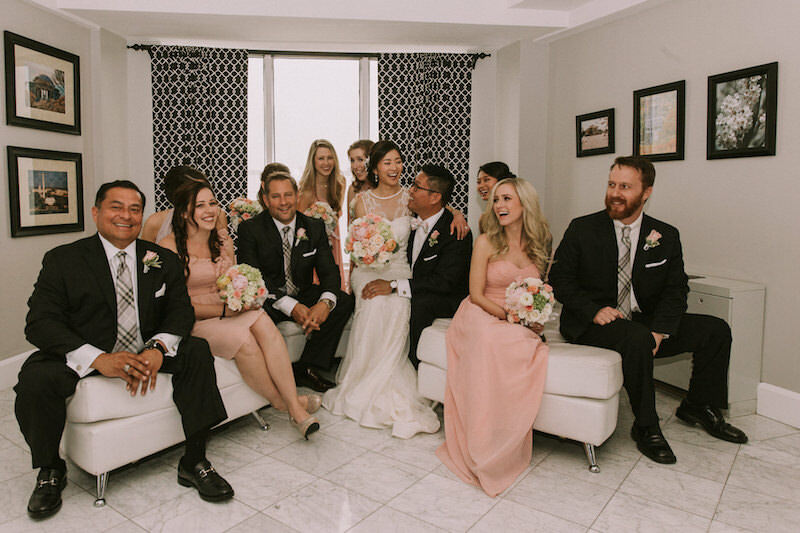 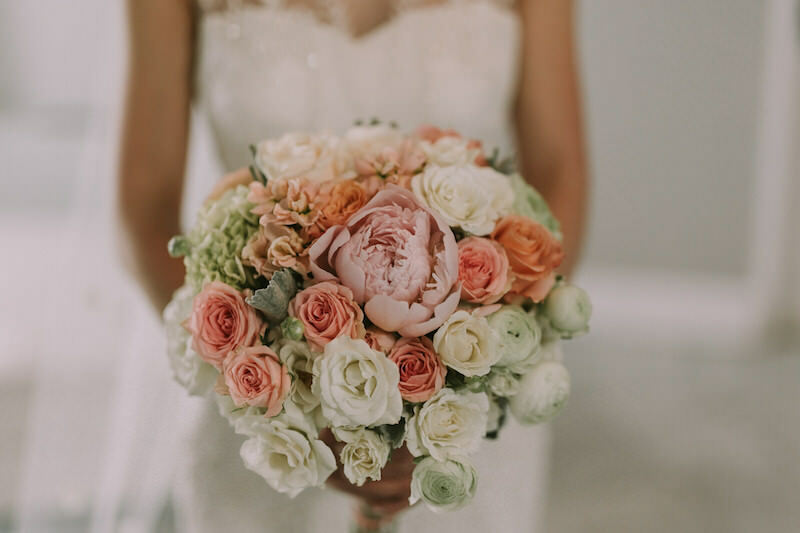 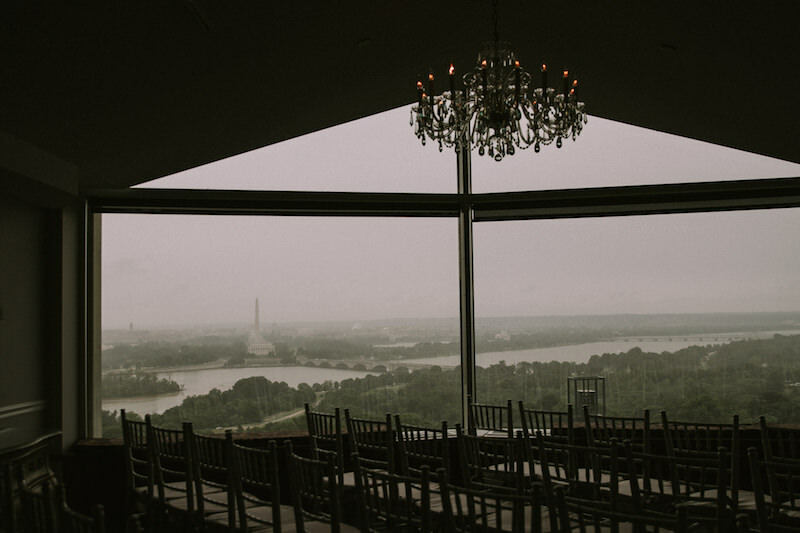 Going hand and hand with the weather, the sprawling views of Washington DC that are available from Top of the Town were not obstructed throughout the day with the Washington Monument and the Lincoln Memorial visible through the Virginia wedding venue‘s floor to ceiling windows. 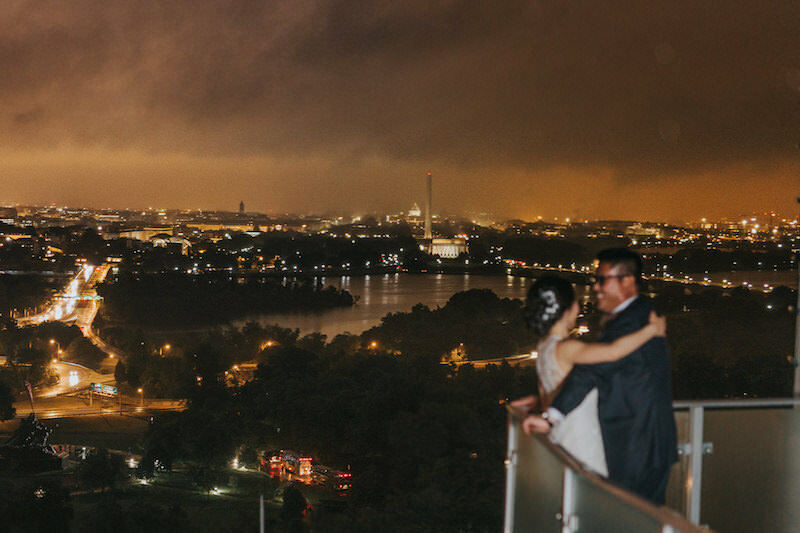 The couple were married in front of this fantastic view and the room was then flipped so that guests could continue to enjoy the DC skyline throughout a night of dinner and dancing. 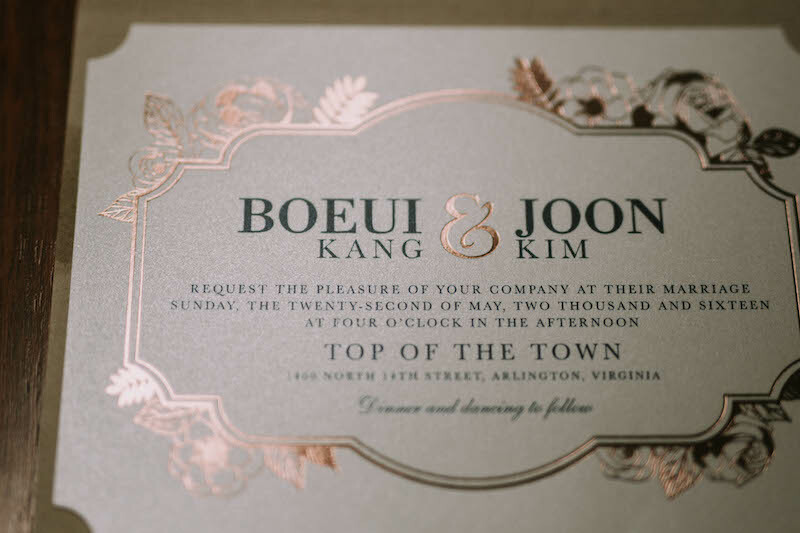 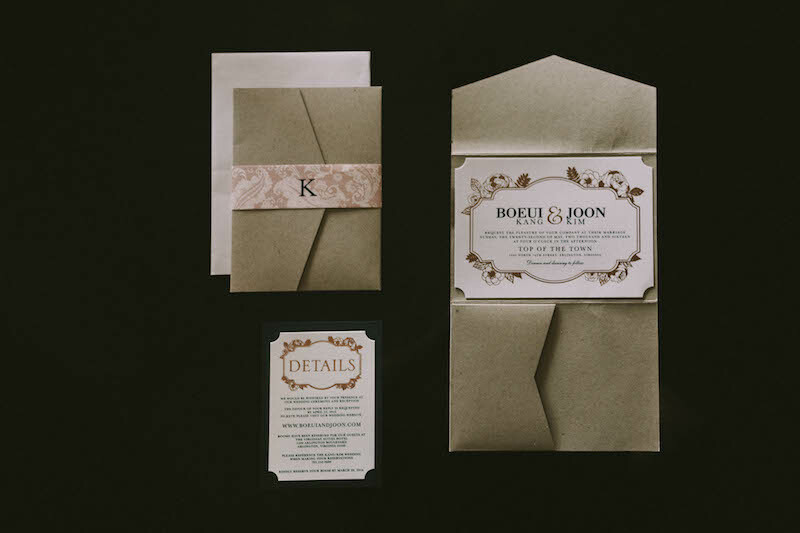 Congratulations to Joon + Boeui! 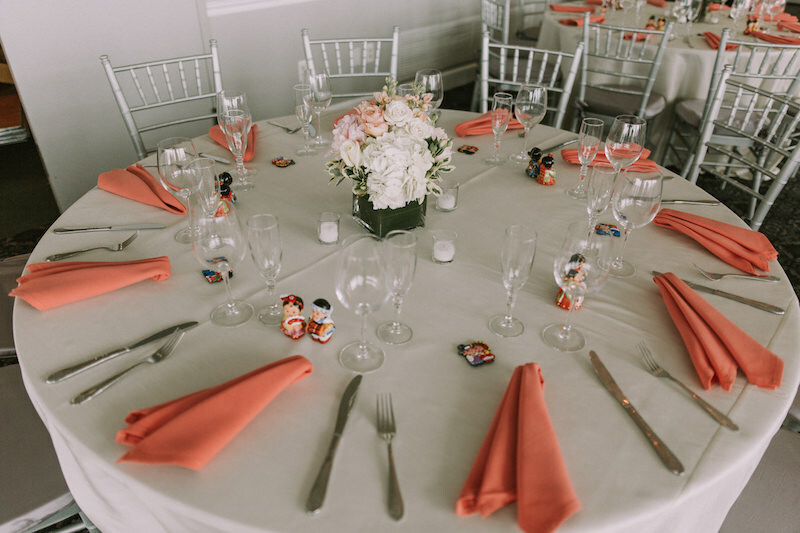 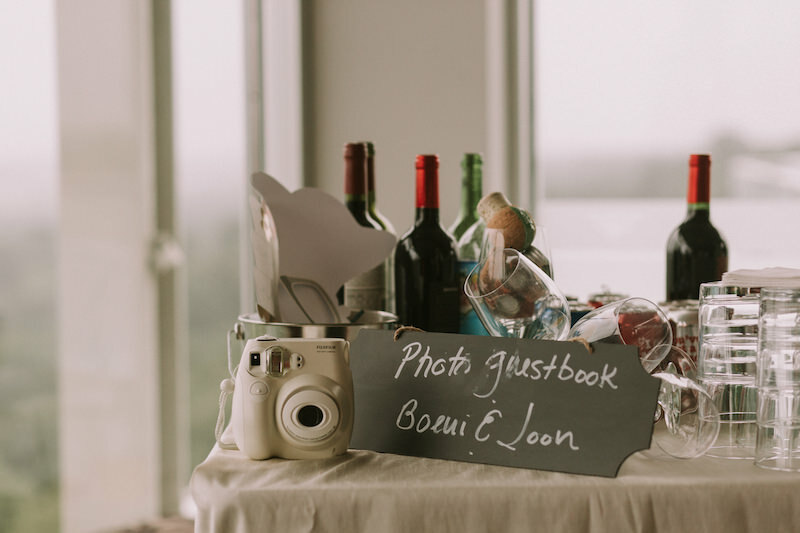 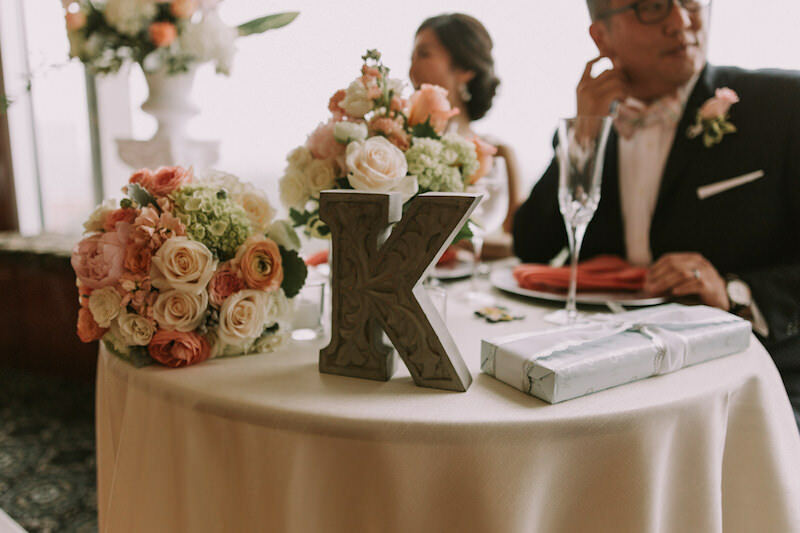 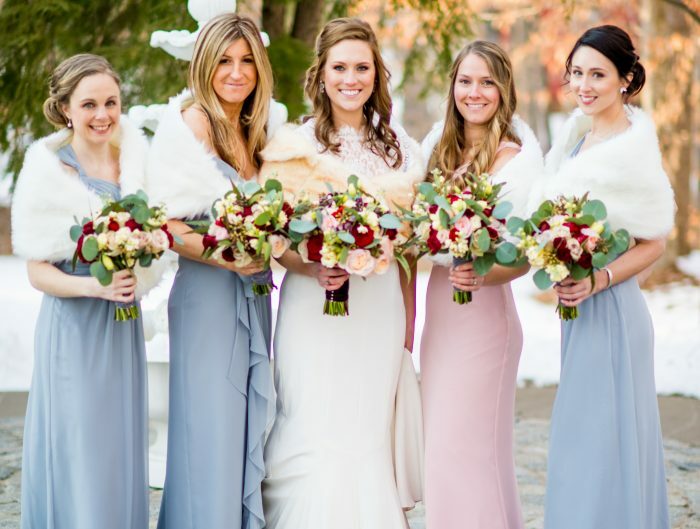 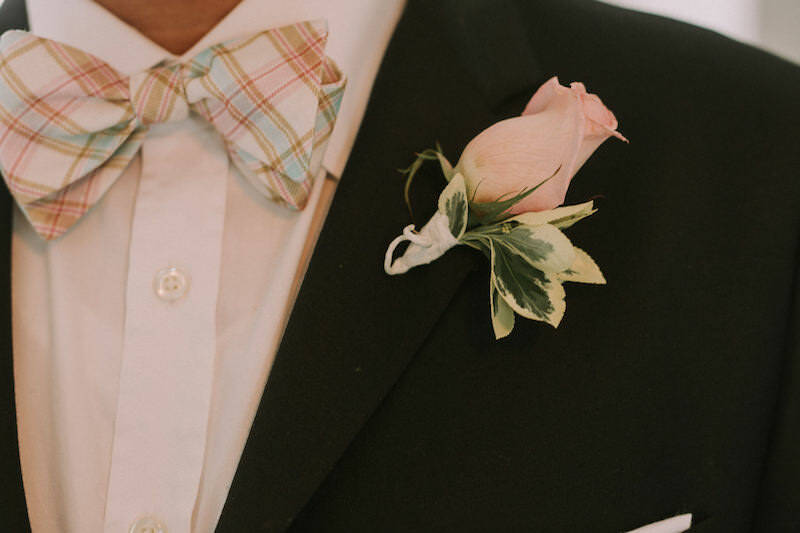 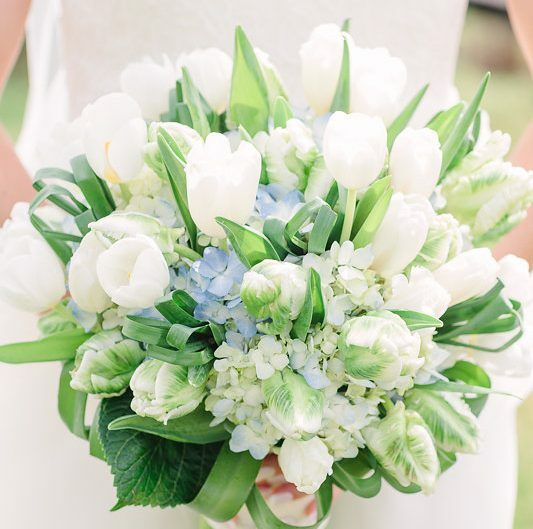 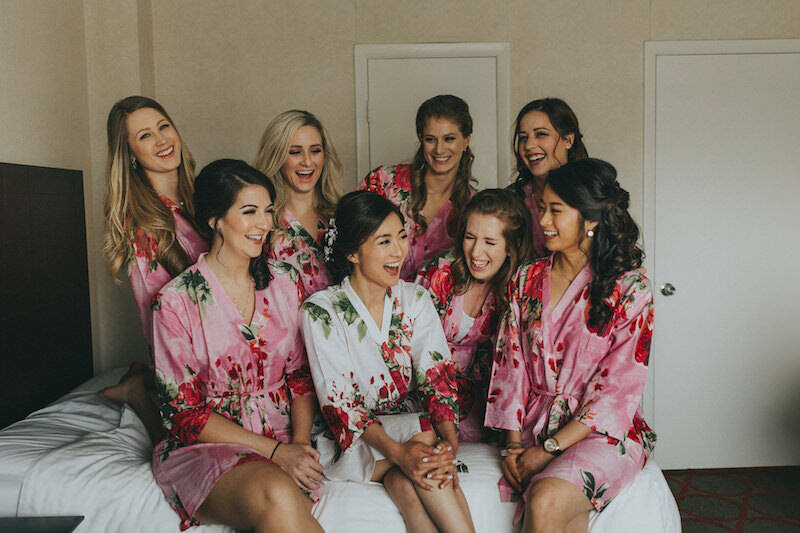 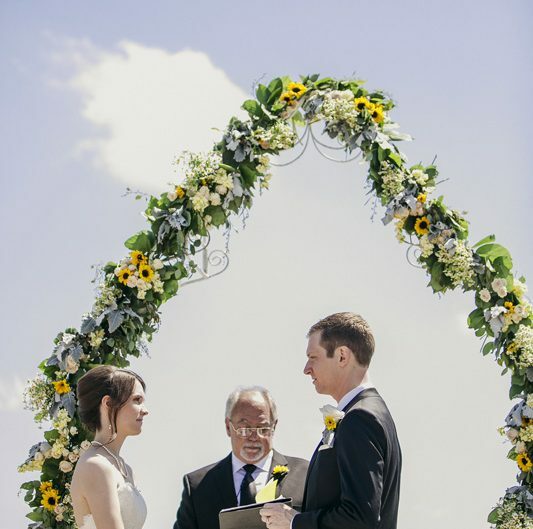 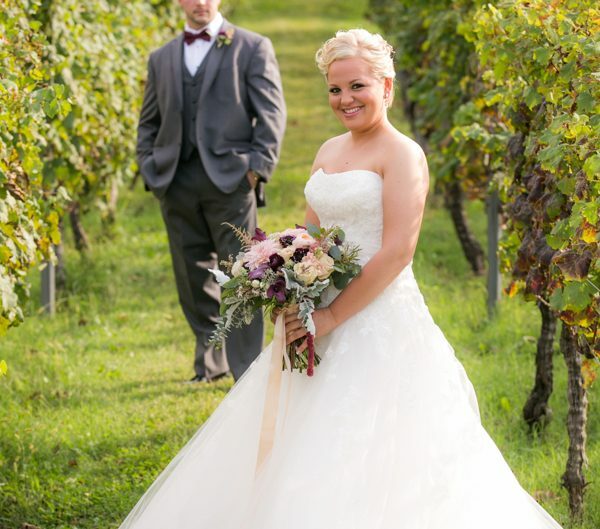 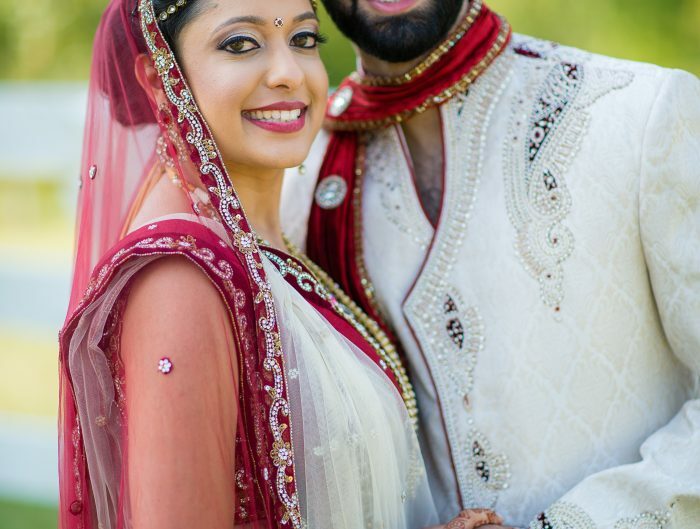 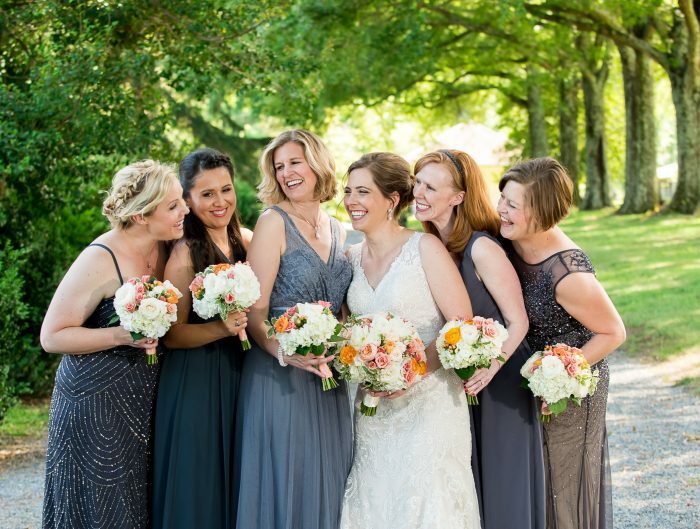 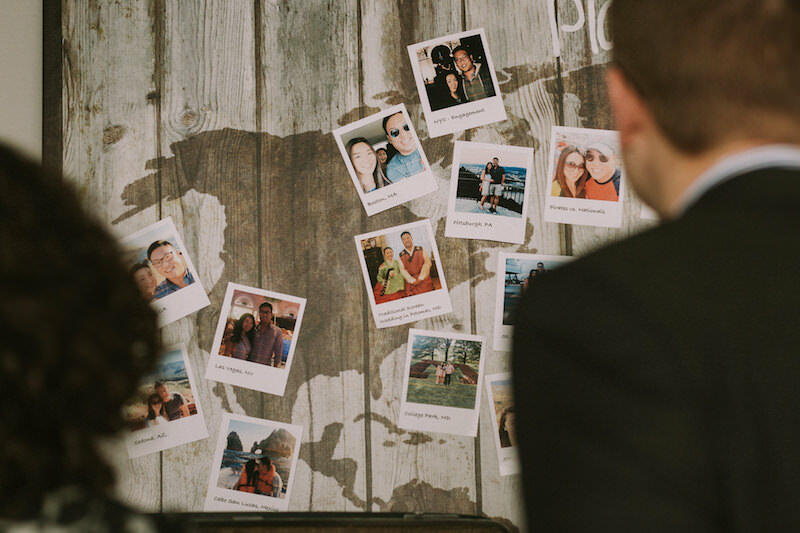 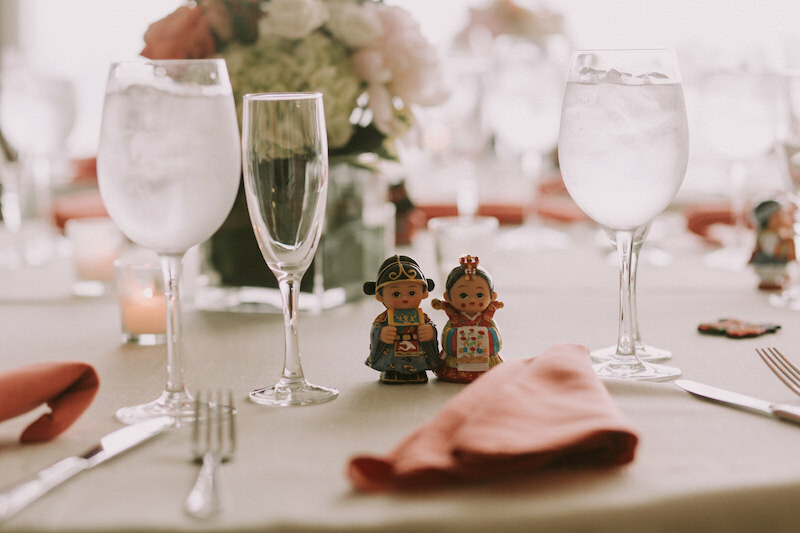 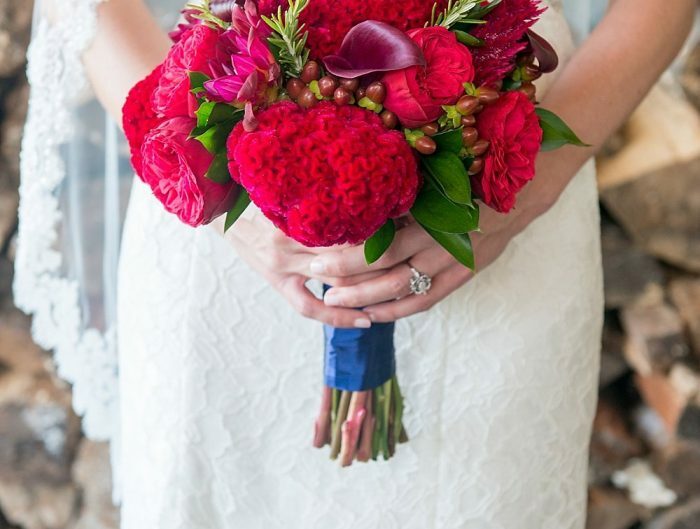 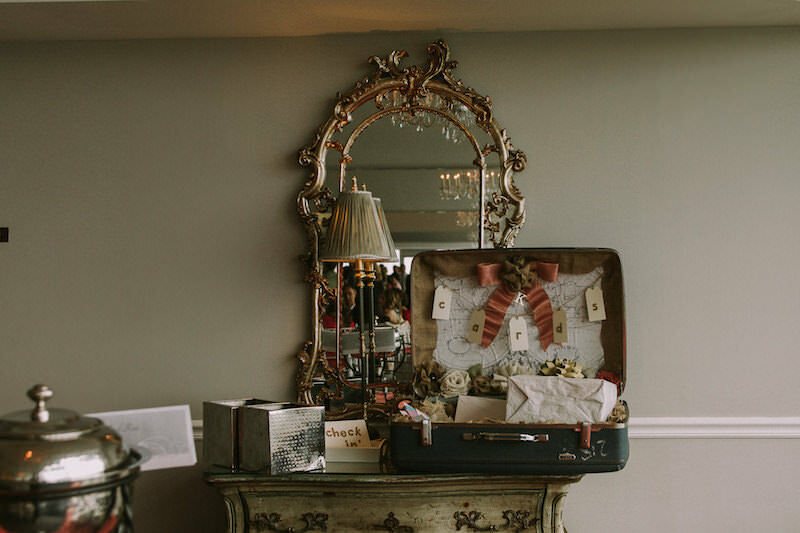 Thank you for sharing your fun colorful Top of the Town Virginia wedding with us!